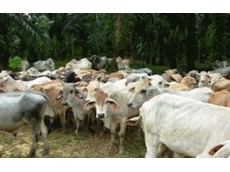 15/12/10 - AAA Livestock Services Pty Ltd specialises in the purchase, preparation and export of all major species of Australian and New Zealand animals. 05/08/08 - HydroPlan comprises of irrigation and water resource consultants, specialised in providing consulting services. These irrigation and water resource consultants adopt a systematic methodology for completing various irrigation projects. 23/07/08 - O'Callaghan Rural Management (ORM Pty Ltd) provides agribusiness planning and management services to farmers and livestock owners. 17/07/08 - Planfarm is a licensed rural valuer that provides professional consultancy for property valuations in a timely manner. Property valuation services are provided to major banks, rural investors, syndicates and farming families. 16/07/08 - McKinna et al Strategic Insights has achieved global insight skills by utilising commercial networks, languages and cultural insights in areas such as South-East Asia, China, Japan, Korea, Italy, France, UK, Germany, USA and Canada.